WILBERFORCE — Central State University, in collaboration with the Wilberforce chapter of The Links is sponsoring a summer Seed to Bloom program. Seed to Bloom teaches participants about healthy foods, agriculture, conservation and water quality through outdoor learning explorations and classroom and laboratory activities. The half-day camp is for rising sixth and seventh graders and runs through Friday, June 19 at Central State. 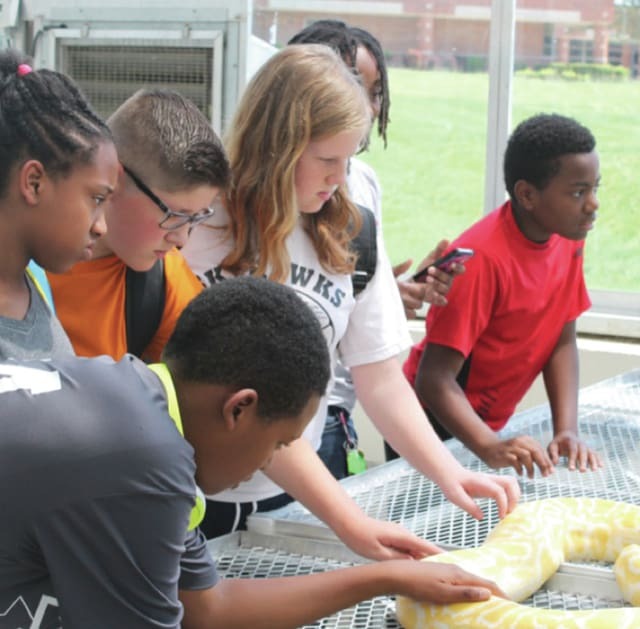 In its second year, 17 students from Xenia Community School District are participating along with students from the Beavercreek, Fairborn, West Carrollton, Huber Heights, Northmont and Dayton school districts. “Our chapter is pleased to partner with Central State University in the implementation of this summer program as it extends our work in supporting the development of science and health literacy of middle school children,” said Dorothy Vivians, president of the Wilberforce chapter. The Links is an international, not-for-profit corporation established in 1946 and is focused on volunteer service. Nationally, Links members annually contribute more than 500,000 documented hours of community service, aimed at strengthening their communities and enhancing the nation. The project is a part of the university’s land-grant initiatives and is aligned with two of The Links’ facets: Services to youth and national trends and services. As an 1890 Land-Grant Institution, Central State provides scientific research and outreach initiatives that eliminate disparities and enhance community wellness. The land-grant designation enables the university to expand its focus on science, technology, engineering, agriculture and mathematics (STEAM). The United States Department of Agriculture Natural Resources Conservation Service is another sponsor of the program.